The construction to transform Castro Street has been completed. We now have wider sidewalks, a resurfaced street, an upgraded Jane Warner Plaza, and improved streetlights and street trees. This exciting project has improved pedestrian safety, made our neighborhood more livable, and beautified our already iconic Castro Street. I want to thank all of the merchants and residents for their patience during the construction. You can read more about the improvements on the Department of Public Works' website here and read more about the ribbon cutting celebration here. George Christopher Playground was designated for a $2.8 million makeover as part of the 2012 Parks Bond. Located near Duncan Street and Diamond Heights Boulevard, this neighborhood park has tennis courts, baseball fields, a clubhouse, and playgrounds. The project may include improvements to the children's play area, exterior clubhouse restrooms, park access, and related amenities. Starting in February 2015, the Recreation and Parks Department will start the planning and community outreach process with construction slated to begin in April 2017. After years of being loved to death, Dolores Park is undergoing renovations to improve facilities, sports areas and general infrastructure. These badly needed improvements -- funded by the 2008 Parks Bond -- will be completed in two phases so that any given time one half of the park will be open for recreational use. The improvements will include new restrooms with expanded capacity, renovated tennis courts and basketball courts, improved dog play areas, new pathways, better ADA access and better irrigation. To learn more about the project, including the timeline, design plans and contact information for the project manager, go to the website here. The Recreation and Parks Department recently completed the first round of improvements to Glen Canyon Park, as funded by the 2008 Parks Bond. These improvements include new tennis courts, an expanded children's playground, an improved drop-off spot at Elk and Bosworth, a pedestrian path, and minor improvements to the Glen Canyon Rec Center. The 2012 Bond-funded improvements, whicha are in the planning stages, will feature a full renovation and expansion of the Rec Center to provide an additional 4,500 square feet of usable recreation space. Currently, the Recreation and Parks Department is conducting community outreach to gather feedback on what the community wants to see in the newly designed Rec Center. Please contact the Department at the project website here. Several years ago, neighbors on Guerrero Street organized to plant and green the medians along Guerrero. The results were a vast improvements on the neighborhood, and I recently began working with neighbors, city departments, and others to organizing greening efforts on the blocks of Guerrero between Market and 20th Street. As part of that process, we need to identify who lives on or adjacent to what block and to identify neighbors to volunteer as Block Captains for each of the ungreened blocks along Guerrero. The responsibility of the Block Captains will be to act as liaisons between the neighbors and the city. We currently need two captains for each of the 8 un-greened blocks. Please email my legislative aide Adam Taylor at adam.taylor@sfgov.org to provide him with the block with which you associate (ie, you live on or adjacent to the block) and whether you are willing to serve as a Block Captain. We will create an organizing spreadsheet and then work with the captains. This will be a transformative project for the neighborhood, and I look forward to working with neighbors to make this a reality. Noe Courts is a small park that serves a wide variety of uses. In 2011, a group of residents secured a Community Opportunity Fund from the Recreation and Parks Department to improve the drainage and landscaping in the park while at the same time the Recreation and Parks Department was planning to upgrade the bathrooms using funds from the 2008 Parks Bond. With both of these efforts being planned, the city agreed to step back and do a Master Plan to create a long term vision for the park. Those plans -- which are the result of input from four public meetings -- is currently going through the approval process by the Recreation and Parks Department. Once the designs are approved, then the work that has funding can take place and future work can be done as funding becomes available. To learn more about the plans, see the project website here. 24th Street is the heart of Noe Valley, and ensuring good pedestrian safety and transit efficiency on the corridor is the goal of the 24th Street Urban Village project. 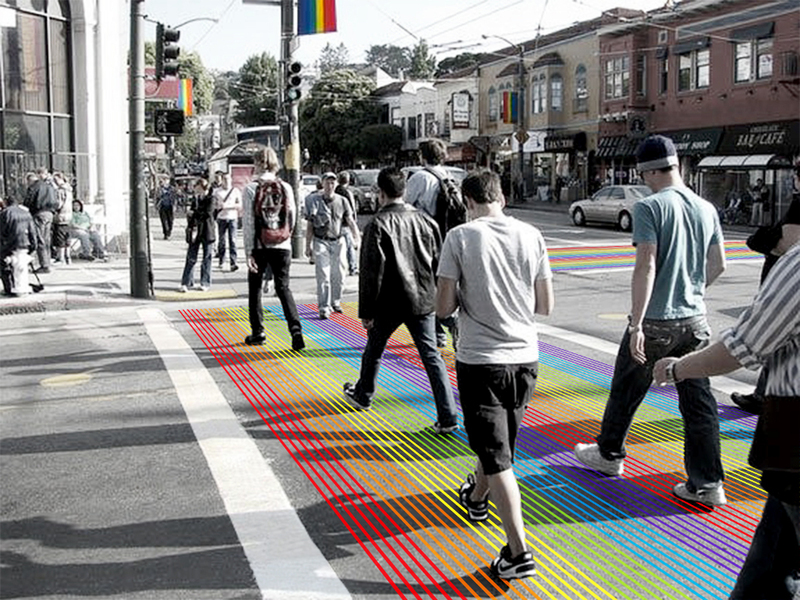 The project will include decorative sidewalks where 24th Street intersects both Noe Street and Castro Street, and bus bulb-outs along 24th Street at Noe Street and Castro Street. This will reduce crossing time and increase pedestrian visibility, improve bus loading and increase overall safety on the corridor. There will also be new street furniture like benches and planter boxes installed to beautify the sidewalks. Construction has begun on the improvements. Read more about the project here.